Ron Hilliard (JET 24 Your Erie) covers ErieCPR's Viaduct Town Hall at the Jefferson Educational Society — Why Save the Viaduct? To Keep Kids Safe. "The bridge is for the children." "The Viaduct has great potential." "Why is redundancy always applied to poor people?" "I was a second-grader, standing on the bridge when it was dedicated." 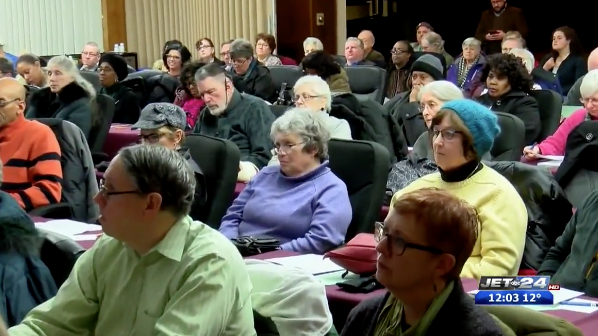 150 people filled the Jefferson classroom to hear short presentations, to participate in the "Citizens to be Heard" section, and to witness the panelists respond to audience questions.